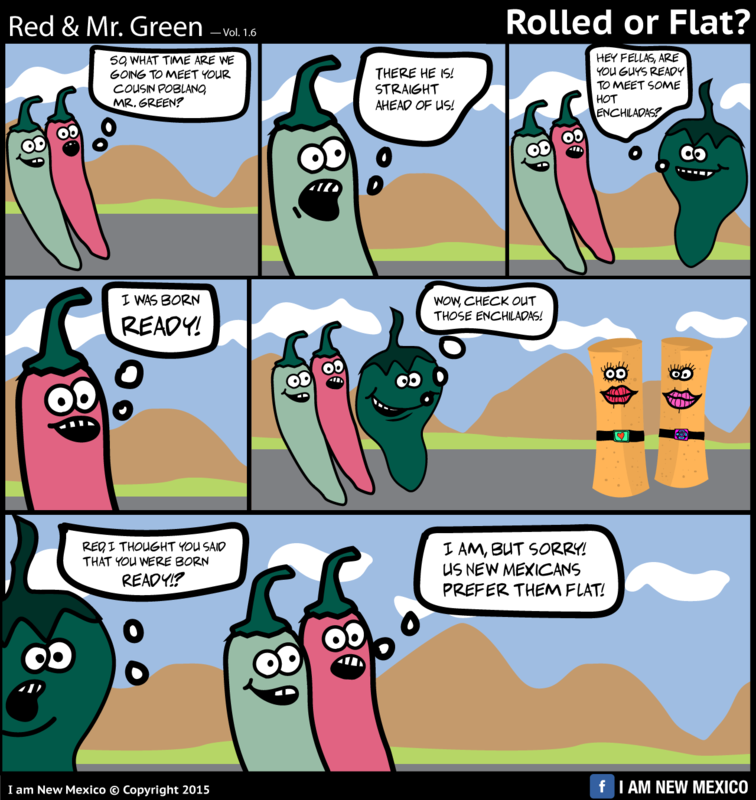 Red & Mr. Green: Rolled or Flat? (December 9, 2015)—There are some things that only New Mexicans will understand and having our enchiladas flat with an egg top is one of them. Today, Mr. Green’s cousin Poblano is in town. He’s single, so he wants to spice things up with some enchiladas, but Red and Mr. Green aren’t into rolled enchiladas and Poblano doesn’t like it.